We want you to become a part of our team! 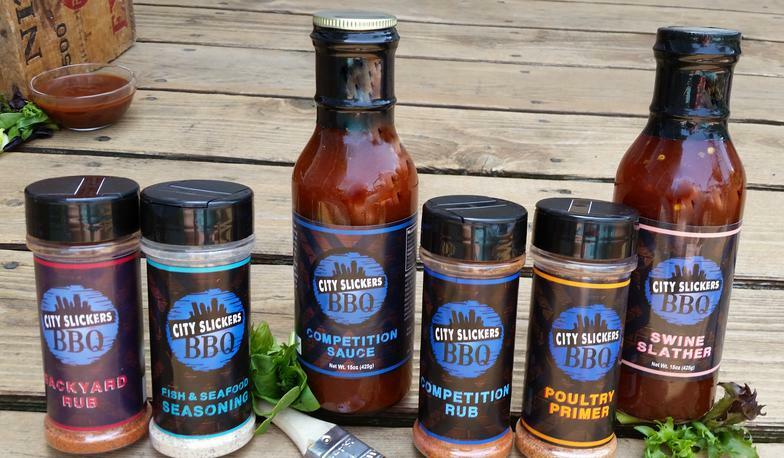 City Slickers BBQ is currently seeking sponsors for the 2015 competition barbecue season. A little bit about competition barbecue. Since 2008, competition barbecue is the fastest growing sport in the country. These contests are usually tied with fairs and festivals bringing in hundreds to thousands of potential customers for your business. Along with the competitions, over 66 million people barbecued last year. Barbecue has grown to a $3 Billion industry. City Slickers BBQ is based out of Minneapolis, Mn. We began competing in the summer of 2010 when we entered a contest in Iowa on a whim. We took home a solid 3rd place award and were instantly hooked. The following summer we entered 5 contests total and had respective finishes. 2014 was our most successful year. We took home multiple 1st place awards, countless 2nd and 3rd place finishes, and 1 Reserve Grand Champion. For 2015, we plan to compete in over 12 contests. What does this mean for us? A lot of travel, money and networking. Barbecue contests are not cheap. We are looking for sponsors to help cover entry fees, meat, fuel, and everything associated with bringing the best BBQ we can to the events. What does this mean for you? As mentioned before, there are hundreds to thousands of potential customers at each event. With your sponsorship, your company will be displayed to thousands of people over the summer months. We want to work with you come up with the best way to display your company. Whether you have a product that we could use directly in our contests, company logos on our banner and trailer, literature on your company and word of mouth. Along with your sponsorship, we will include you on our website, Facebook and Twitter pages. As stated before, we would like to work with you to come up with the best way to display your company. If you have any ideas other than the packages listed, we are willing to work around them. *non-contest dates only, within 100 miles of the Twin Cities area, limited menu only.